In this modern-day fable, Wanda calls her brother and sister "fans," keeps up with celebrity news, and never misses a chance to share a selfie. She's ready to show the world how Wanda-ful she really is, but all people are interested in is . 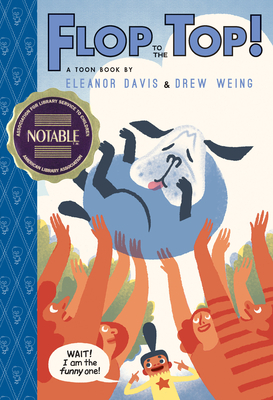 . . her dog Superstar cartoonists Eleanor Davis and Drew Weing will have young readers in stitches with this hilarious tale of fame and fandom where friendship and family triumph. Eleanor Davis's debut book, Stinky, received multiple accolades, including the Theodor Seuss Geisel Honor Award and a Kirkus Reviews Best Book of the Year award. Eleanor and Drew Weing, her husband, came up with this story together and shared the drawings on each page. Can you tell who drew what? They bet you can't! They live in Athens, Georgia, with three floppy cats who take turns napping on their drawing tables.